Patient Privacy Rights is playing an essential role in the developing information economy with their campaign against Oprah Winfrey’s promotion of RealAge.com. 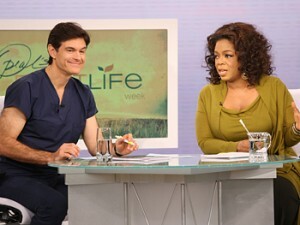 I’m not an Oprah-watcher, but apparently she’s been having a guest on named “Dr. Oz” – where does she get these people? – who shills for a site called RealAge.com. RealAge entices visitors to take a 105-item questionnaire about their personal health habits. The people who agree to be “members” receive, among other things, promotions from drug companies that are tailored to their potential health issues. Patient Privacy Rights doesn’t like this, and they make a good case that RealAge, “Dr. Oz,” and Oprah should give people a better idea of what’s going on with personal information in this little transaction. The brilliant thing, from my perspective, is that PPR is taking it to the people with a petition rather than running to mommy government, embodied by the Federal Trade Commission. That’s the straightforward way to work on shaping the marketplace, convincing consumers themselves rather than relying on the threat of government coercion.